Ferndale has been a major part of Leigh’s life since he was 10 years old. He used to spend his school holidays helping out in the factory, doing whatever he could to earn some pocket money, and would often be overheard telling all of his friends that he was “Chief Taste Tester” in a lolly factory! Today, Leigh is in the role of General Manager, with a focus on the Sales and Marketing divisions of Ferndale. Leigh’s passion lies in identifying opportunities and gaps within the market, and then working closely with the Ferndale team to develop products and strategies to fill these gaps. 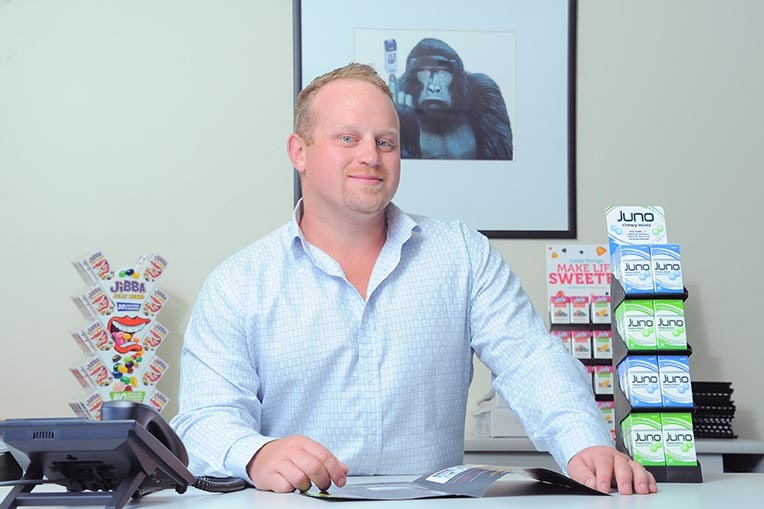 Since joining the business full time in 2010, Leigh has driven the development and subsequent market penetration of SLIM FRUITS®, JIBBA® JELLY BEANS, and more recently JILA® CHEWY MINTS. With the recent appointment of Brad Kerford to the role of National Sales Manager, Leigh is now leading Ferndale’s charge into Asia, spending about 80% of his time building the businesses footprint in Hong Kong, China, Singapore and emerging markets like Malaysia. Outside of Ferndale, Leigh loves his local footy club, has a keen interest in Horse Racing, and also enjoys renovating & property development.